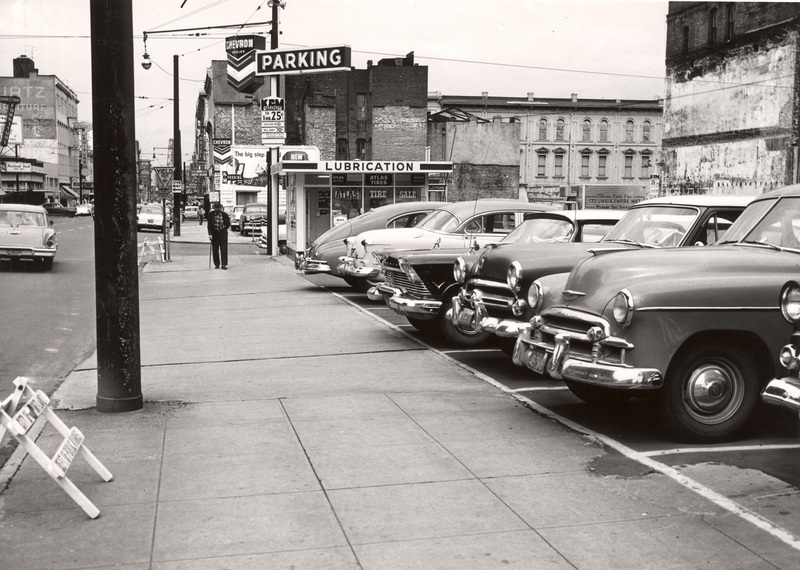 Things didn’t look much different along SE Alder St between 3rd and Union Avenues in 1940 than they do now. Part of the street is still paved with cobblestones. 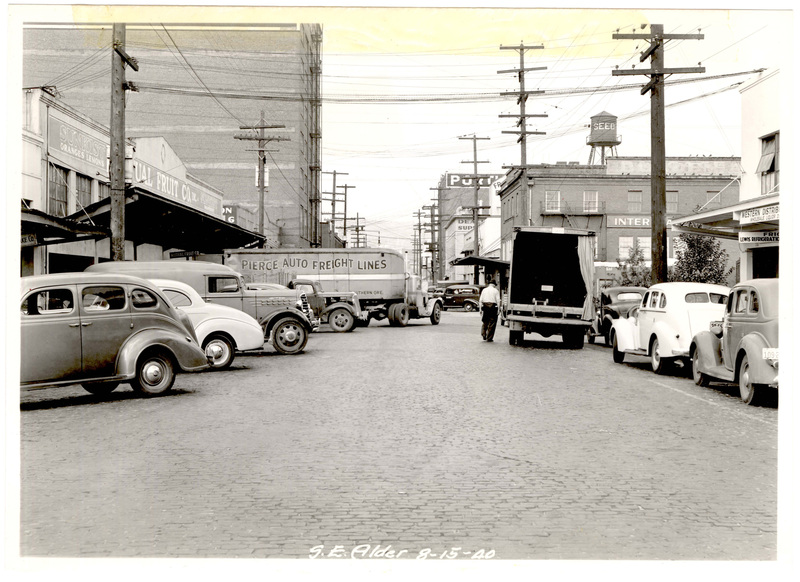 The building on the immediate left would become Corno’s Market, then be torn down in 2006.